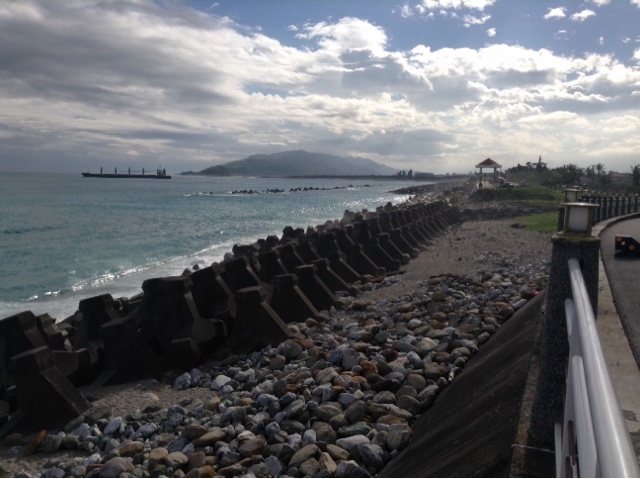 Welcome to the port of Hualien. One of two days with sun in three weeks. We walked 8 miles looking for the long, pebbly beach at Qixingtan and a couple more miles scrounging for a bar in the evening. We sat and had a beer at an empty outdoor karaoke place and listened to Rihanna, then found a real bar. A sign above the sink in the men's room said "Please irrigate after throw up." 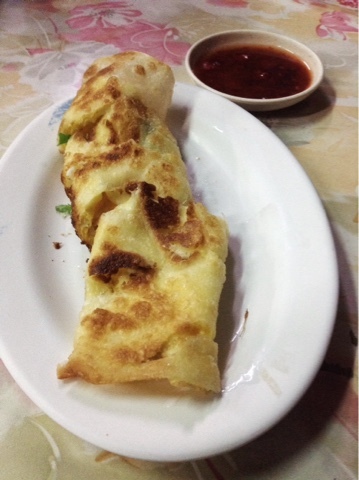 After a couple Jim Beams, we stepped out and had a lovely evening crepe with an egg and scallion rolled in. A boon to the soul.